not always uphold them themselves. Brandeis and Szold thus came to symbolize the twentieth-century American Jewish com- munity's ideal of what a man and a woman should be." JEHUDA REINHARZ was born on August 1, 1944, in Haifa to German Jewish parents who had immigrated in the 1930s to Palestine with their respective families. When efforts to immigrate to the United States failed, the family moved back to Germany in 1958 —back to his father’s hometown of Essen. In 1961 the peripatetic Reinharz family moved to the United States and settled in Newark, New Jersey, where the high school senior met his future wife Shulamit Reinharz, who was born in Amsterdam. Upon graduating from high school, Reinharz studied Jewish and European history at the Jewish Theological Seminary of America, where he earned his BRE, and Columbia University, where he earned his BS. The recipient of the prestigious Five-Year Ford Fellowship, Reinharz completed his MA in medieval Jewish history at Harvard University in 1968. The decision to pursue his doctorate at Brandeis University was influenced by the eminent scholars who dominated the Near Eastern and Judaic studies department, especially Benjamin Halpern, Alexander Altmann, and Nahum Glatzer, who would become his lifelong mentors, as well as Walter Laqueur, who taught in the Department of the History of Ideas. Following completion of his PhD, Reinharz went to teach at the University of Michigan where he became the first professor of Jewish history. In 1982 he returned to Brandeis University, where he was appointed the Richard Koret Professor of Modern Jewish History in the Department of Near Eastern and Judaic Studies. To promote scholarship on European Jewry, Reinharz took over at the helm of the Tauber Institute for the Study of European Jewry in 1984 and later founded the Jacob and Libby Goodman Institute for the Study of Zionism and Israel. 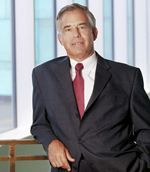 From 1991 to 1994 Reinharz served the administration as the provost and senior vice president for academic affairs, and in 1994 became the seventh president of Brandeis University. During his seventeen-year tenure as president, he advanced the field of Jewish studies by initiating and supporting the establishment of numerous chairs, centers, and institutes devoted to Sephardi studies, Holocaust studies, Israel studies, Jewish women’s and gender studies, Jewish education, and Jewish social and demographic studies, while strengthening the humanities through the creation of the Mandel Center and affirming the university’s commitment to the sciences, the arts, social justice, and global engagement. Excerpted from "The Individual in History: Essays in Honor of Jehuda Reinharz." The question of what makes a successful Jewish leader has many answers, none of them simple. Individual leaders develop within a complex context of socio-political circumstances of period and place. They are transformed by circumstances, responding and reacting in ways unique to the individual, and subsequently transforming those same circumstances in a process of change and development that is mutually reinforcing and non-linear. The life journey of Jehuda Reinharz, president of Brandeis University for 17 consecutive years, provides an intriguing example of how effective Jewish leadership can develop. The new book “The Individual in History: Essays in Honor of Jehuda Reinharz” (eds. ChaeRan Y. Freeze, Sylvia Fuks Fried, and Eugene R. Sheppard, 2015) begins with an overview of Jehuda Reinharz’s life story and continues with essays on topics he held keen interest in and to which he devoted scholarly attention. The dearth of material about the Holocaust and Reinharz’s determined position to counter his history teacher’s antisemitic statements propelled Reinharz into active participation in the Zionist youth movement in Germany and a lifelong course of academic scholarship. 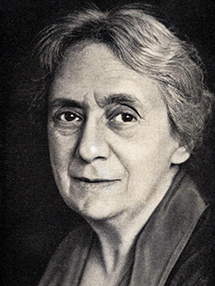 Key themes in Reinharz’s extensive scholarship include Jewish emancipation, antisemitism, and Zionism. As such, essays in the book are organized under the titles Ideology and Politics; Statecraft; Intellectual, Social, and Cultural Spheres; Witnessing History; and In the Academy. 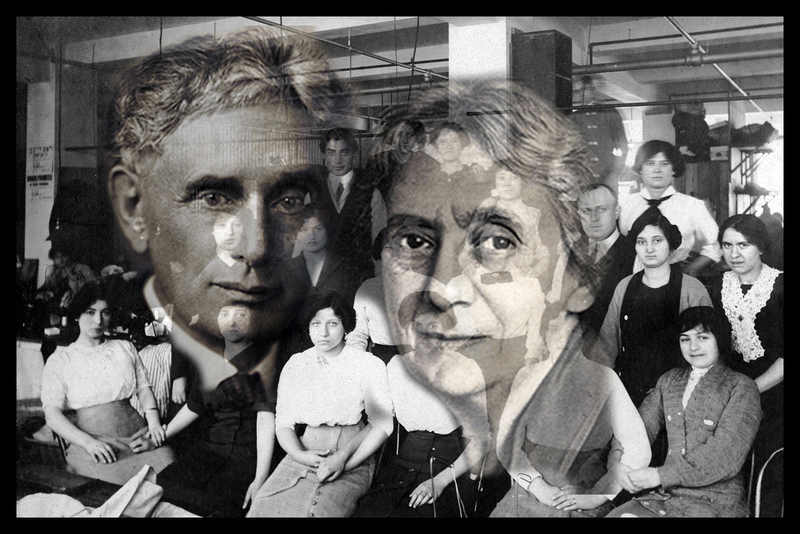 Louis D. Brandeis, outstanding Harvard-trained Boston lawyer, leader of the American Zionist movement, and the first Jew to be nominated to the Supreme Court of the United States Henrietta Szold,exceptional Jewish thought-leader, writer and editor, co-founder of Hadassah, and “Mother of Israel” for her dedication to service and social justice. Jewish Literacy, a widely distributed volume by Joseph Telushkin that promises “the most important things to know about the Jewish religion, its people, and its history,” highlights two American Zionists as worthy of being remembered by every literate Jew: Louis Brandeis and Henrietta Szold... They have been the subject of more published biographies than any other American Zionists, and they dominate children’s textbook presentations of American Zionism as well. They are, in short, the best-known American Zionists by far. Scholars may lament that other critical figures—people such as Harry Friedenwald, Israel Friedlaender, Richard Gottheil, Hayim Greenberg, Louis Lipsky, Julian Mack, Emanuel Neumann, Alice Seligsberg, Marie Syrkin, and so many others—have not achieved immortality in this way. Stephen S. Wise, Abba Hillel Silver, and Mordecai Kaplan may have come close, but they are neither as well-known as Brandeis and Szold nor as universally respected. Kaplan, moreover, is far better known as the founder of Reconstructionism. Whether others deserve greater recognition, however, is not the question to be considered here. That would demand an extensive inquiry into what “greatness” in Zionism entails and how it should be measured. Instead, our question is why Brandeis and Szold achieved special “canonical status” among American Zionist leaders, while so many others did not. Existing studies of American Zionist leadership fail to consider this question. Taking their cue from social scientific studies of leadership, they focus instead on the sources from which Zionist leaders drew their authority, the strategies that they pursued, and the extent to which they preserved tradition or promoted change. Yonathan Shapiro’s well-known volume entitled Leadership of the American Zionist Organization, 1897–1930 (1971), for example, follows Kurt Lewin in distinguishing between leaders from the center (such as Louis Lipsky) and leaders from the periphery (such as Louis Brandeis) and analyzes differences between the backgrounds, styles, and leadership methods of different American Zionist leaders. But questions of long-term reputation and popular memory—why, in our case, Brandeis and Szold won historical immortality while so many others were forgotten —go unanswered. Here, I shall argue that the historical reputation of Brandeis and Szold rests upon factors that reach beyond the usual concerns of leadership studies. How they became leaders and what they accomplished during their lifetimes is certainly important, but even more important is the fact that both Brandeis and Szold became role models for American Jews: they embodied values that American Jews admired and sought to project, even if they did not always uphold them themselves. Brandeis and Szold thus came to symbolize the twentieth-century American Jewish community’s ideal of what a man and a woman should be. Their enduring reputations reveal, in the final analysis, as much about American Jews as about them. 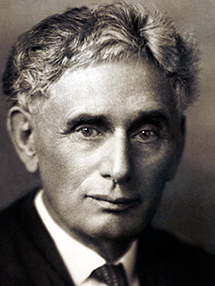 In his essay, Sarna continues to outline the lives and accomplishments of Louis Brandeis and Henrietta Szold, Brandeis as outstanding Harvard-trained Boston lawyer, leader of the American Zionist movement, and the first Jew to be nominated to the Supreme Court of the United States; and Szold as exceptional Jewish thought-leader, writer and editor, co-founder of Hadassah, and “Mother of Israel” for her dedication to service and social justice. All of these accomplishments surely earned Brandeis and Szold the accolades showered upon them, but they still leave open the question of why others, who also achieved a great deal, in the course of time have been totally forgotten. Why, in other words, has popular memory operated so selectively in the case of America’s Zionist leadership, to the advantage of Brandeis and Szold and the disadvantage of everybody else? No definitive answer to this question is possible, but five factors stressed by the biographers of Brandeis and Szold seem particularly revealing. At the very least, they help to explain why the lives of these two Zionist leaders took on special relevance to subsequent generations of Jews. In an era when many doubted the ability of American Jews to negotiate both sides of their hyphenated” identity, Szold and Brandeis served as prominent counterexamples. They provided reassuring evidence that the ideal of inclusiveness could be realized, and that Judaism, Zionism, and Americanism all could be happily synthesized. For this, as much as for their more tangible organizational contributions, American Jews revered them and remembered them. Dr. Jonathan Sarna is the Joseph H. & Belle R. Braun Professor of American Jewish History at Brandeis University, Chair of the Hornstein Jewish Professional Leadership Program, Chief Historian of the National Museum of American Jewish History, and president of the Association for Jewish Studies.